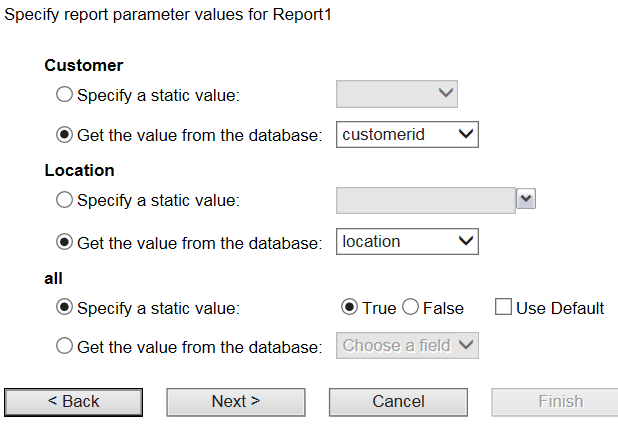 When designing an SSRS report with a multiple value parameter that isn’t a static dimension, you’ll need this trick to pass a valid parameter value to a data driven subscription. I was designing a report where I needed to be able to select a customer, and then based on the customer that I picked, a second parameter would populate with the available locations for that customer. I also needed to be able to select multiple locations for that customer for the report. One can reorder the parameters by selecting a parameter and using the up and down arrows in the parameter strip menu. This worked fine for me until I needed to make a data driven subscription where I send a copy of the report to the customer with all of their locations selected. I was pulling the customer from the database along with his or her email address, but I couldn’t populate the list of the customer’s locations in the subscription. First off, one will notice that the list of locations is blank instead of showing the list of available values based on the Customer. 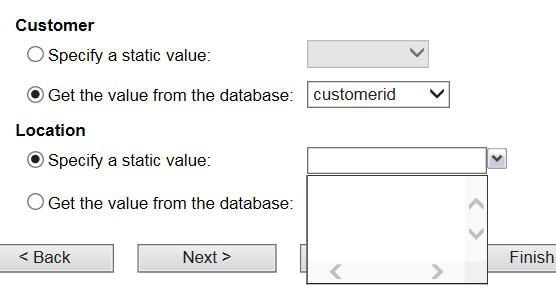 Which makes sense, because no customer is selected, but one can’t type in a list of values for the Location parameter because the list will be different for each customer. Done: 119 processed of 119 total; 0 errors. The way I worked around this was by adding a hidden parameter to the report that I could pass to indicate that it was being run for all locations. I set the default value for this boolean parameter to false, so that when the report was being run directly, it wouldn’t automatically run for all locations. However, I could set the hidden parameter to true in my data driven subscription in order to have the report run for all locations. 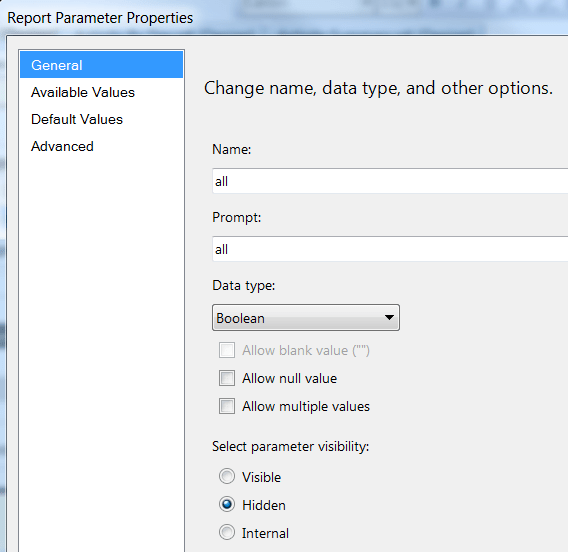 This would now run the report for all of the locations if I set the all parameter to true in my subscription. However, I still needed to send at least one valid value to the Location parameter, which is fine, because I found that I could send one value without using an array, just not multiple values. I handled this by changing the query in the data driven subscription to send the MAX() location from the database for that customer. I could then pass the “all” parameter as true to return all of the locations even though I was only passing one value to the Location parameter. I could now send my customers automated email with a data driven subscription, with all of their locations selected, without having to design a second version of the report without the multiple value parameter. I am not sure how old this post is but it is exactly what I am looking for. I follow you up until you go to update your dynamic SQL statement. I am assuming your are referring to the main SQL query but I don’t understand why you have Paramaters!all.Value instead @all the same with Parameters!Location.Value why not @location. Also where you have the ‘OR location IN’ is the location a field name or a Parameter. A little lost on this. Can you explain a little or a screenshot. Thank you for posting this article, however, I am also lost on updating the SQL logic. As far as I know, this code is combining SQL and RDL syntax and they don’t go together this returns error. Could you please elaborate? Screenshots will be very helpful.